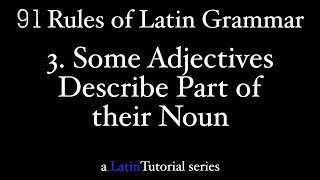 The third rule of Latin grammar is that some adjectives describe just part of their noun. 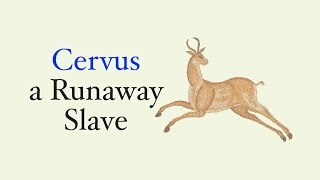 These adjectives are primarily superlatives, like summus or ultimus, but also include medius, ceterus, and reliquus. It's best to translate them with "of" or "part of". After the Trojans have discovered a wooden horse on the beach, Laocoon runs down from Troy and issues stern warnings about trusting the horse and the Greeks. Check out aeneid.co for more videos on the Aeneid! 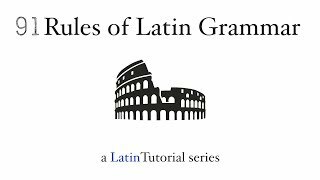 Starting next week, I will be releasing a new series called "91 Rules", in which I will review the most basic and essential parts of Latin grammar. Stay tuned! 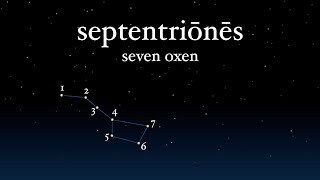 Hexameter is the metrical pattern used by many ancient poets. 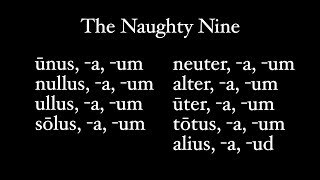 It consists of combinations of long and short syllables, and my website at hexameter.co does a great job of helping practice your ability to identify these long and short syllables. 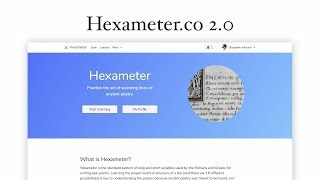 And in the summer of 2018, I did a massive overhaul of the site, adding many new verses and awesome features to make hexameter.co a worthwhile tool! If you subscribe to hexameter.co before the end of August, 2018, please use coupon code HEX2018 to receive 20% your yearly subscription. I do more than post videos. 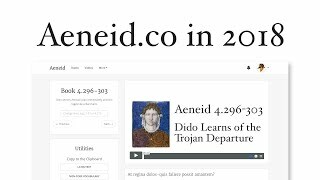 This video looks at a website in my suite of digital offerings at aeneid.co. 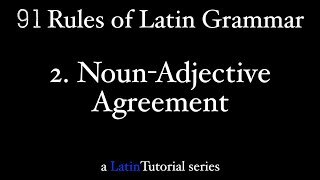 This helps you read Vergil's Aeneid in the original Latin with videos, strong vocabulary tools, and more. The entire AP Latin and GCSE Latin syllabi are covered with videos. 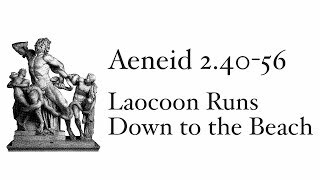 And, until the end of August, 2018, use coupon code AENEID2018 and get 20% off your subscription.